Product is equipped with an impact resistant injection molding Fiberglass/Kevlar construction shell with a soft, brushed nylon liner with perforated leather. 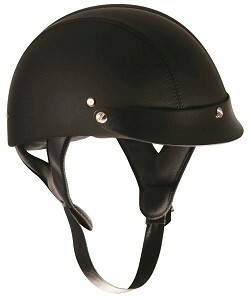 The helmet has padded chin straps, a proclip quick release mechanism, and the style bolt-on peak is included. It meets DOT standard FMVSS218 at the weight of 870 gr.